Shake off the winter blues, get a jump on spring and summer by heading to one of the great spas. Rejuvenate, exfoliate, dine and come home refreshed. The Greenbrier Mineral Spa at The Greenbrier in White Sulphur Springs, WV offers guests a comprehensive spa experience with only the best of everything. The Greenbrier’s world-renowned Mineral Spa has long been one of the resort’s most popular amenities. For over 200 years, guests have been attracted to The Greenbrier’s sulphur springs, and the natural benefits of the minerals remain at the heart of The Greenbrier Spa experience. 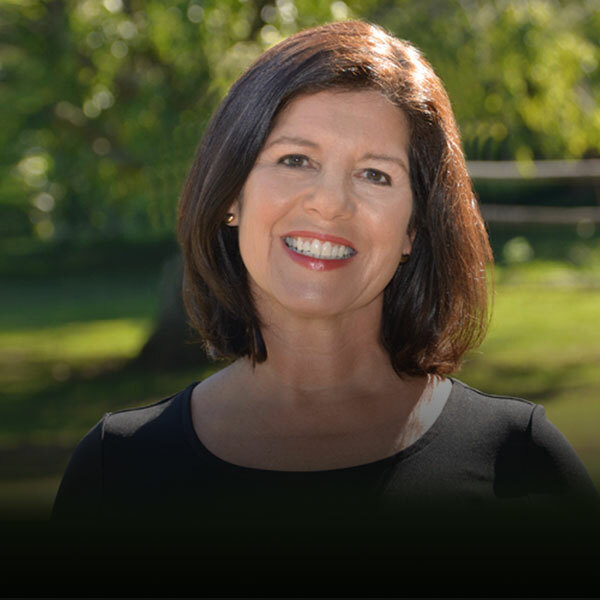 With a focus on hydrotherapy and the use of natural essences and minerals found among their unique springs, The Greenbrier Spa provides both relaxing and therapeutic treatments. Guests at the Greenbrier have a variety of spa treatments to choose from in addition to hydrotherapy including massage, facials, body fusions, and more. The Stowe Mountain Lodge in Stowe, VT boasts an award-winning spa and wellness center to pamper every guest who walks through the door. The Spa focuses on the simplicity of nature to create a truly rejuvenating and holistic environment for the body, from the inside out. The spa experience begins in the “healing lodge,” a private water sanctuary integrating an herbal steam chamber, expansive Jacuzzi pool, dry sauna, natural salt scrub and cooling rain shower designed to restore the body’s natural pH balance and encourage muscles to relax. The vast array of services offered includes traditional and signature spa options which change seasonally, as well as Signature Rituals, which are designed as personal spa retreats. 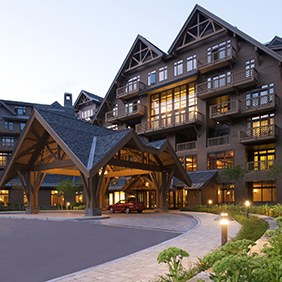 For guests seeking better health, personal well-being and relaxation on a long-term basis, Stowe Mountain Lodge offers the Wellness Center, a distinctive experience designed to help guests maintain good health through nutritional counseling, physical fitness and lifestyle enhancements. Guests can expect to find balance through meditation, nutrition, and health maintenance services that will result in a lifestyle education and true sense of wellbeing. The Auberge Spa at Calistoga Ranch in Calistoga, CA provides guests with a lovely getaway in the incomparable setting of the Napa Valley. The Auberge Spa is the centerpiece of Calistoga Ranch resort, situated on the banks of the spring-fed Lake Lommel. The Spa showcases the natural beauty of the resort’s secluded canyon setting surrounded by the Mayacama Mountains. Guests drink in views of the lake as they relax between treatments in a tranquility garden warmed, in the cooler months, by outdoor fireplaces. The Spa treatments incorporate local Napa Valley ingredients, such as honey, wildflowers and grape seeds, to create a natural healing experience. 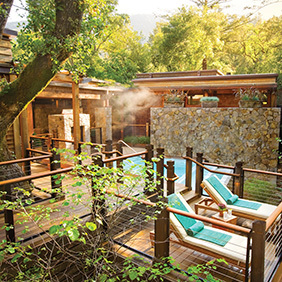 Designed to pay tribute to Calistoga’s centuries-old legacy as a site for healing mineral waters, the Spa features five private treatment cabins, each with a private garden, outdoor shower and a soaking tub. The signature Private Bath treatments allow guests to submerge their senses with the sights and sounds of nature while bathing in the private outdoor tub, in quiet solitude or as a couple, and can be added to any massage, facial or scrub treatment. There is also a Healing Waters Soaking pool filled with mineral-rich curative waters tapped from the property’s own natural springs. New Year, New You – Great Spa Experiences in Germany Energize Your Summer with These World-Class Events Where to Have Your Next Coffee Klatch Endless Summer Idea. Head to Carolina Beach this Fall. Music Never Gets Old: Neither Should You!